Wednesday marked our two year family anniversary with Mariah. Many in the adoption community call this "Gotcha Day". It was an emotional day that June 18th. But we finally had our China baby in our arms! I had an unexpected knock on our front door on Wednesday. There was a man standing with this beautiful floral arrangement. My sweet best friend, Heather, had these delivered in honor of Mariah's "Gotcha Day" anniversary. On a day where she and her husband were preparing for his surgery, she sent me these flowers! She has remained strong throughout this whole test of their faith. He had surgery on Thursday to remove a suspicious lump under his chin. Tests and scans were inconclusive. The surgeon was concerned of a possible malignancy. We serve a big God and Heather claimed victory in all of this. The surgeon was cautious but confident he got everything. The test results will come later this week. We pray that God's healing touch claims the victory. He is the Great Physician and we know that healing is possible. In the past two years we have watched Mariah blossom. She was just a shell of a baby. 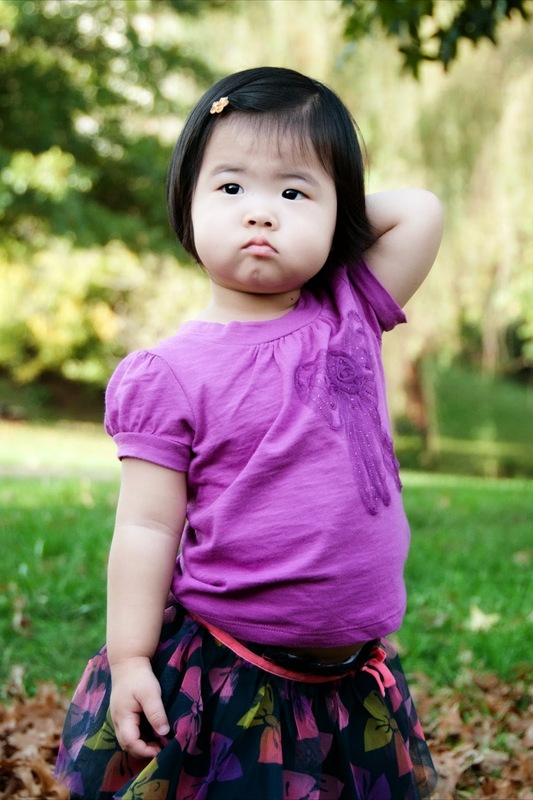 At 18 months old she could barely walk and weighed only 16 pounds. When she tried to walk her little legs shook terribly. We were told she took a bottle. Well........she absolutely refused a bottle for us. She soon began to prefer Jeremy to me. She would scream if I even came near. It made for interesting bathtime, diaper changes, and bedtimes. I took over all of her personal care. It was exhausting. It was so terribly emotional as I watched this child who I fought so hard reject me. I spent hours with her. Still......rejection. I played with her. Still.....rejection. I spent sleepless nights with her when she was sick. Still.......rejection. But she loved her daddy! I would rarely get a moment of tolerance from her. Then gradually something like this would happen. She had surgery after home six months. Jeremy, me and a great friend sat in the waiting room at Riley Children's Hospital in Indianapolis for her 9 1/2 hour surgery. That is when the change really began to happen. She was in terrible pain. But she learned something those days in ICU. Mommy was there. I would jump up as soon as someone walked in the door. I was there to comfort her. There was a change that took place. She began to freely give me love. From there it is history! She loves her "mimis" (family/families). As we walked out of church today Ben told Mariah her pink dress was pretty. She responded as usual......"It's my favorite!" Ben continued and asked her if he was her favorite. Mariah: "No! Mommy my favorite!" Mariah: "Nope! Mommy my favorite!" She then looked at Jeremy and gave a grin. Clearly she loves me but she loves her Daddy and he is the apple of her eye. She just likes to joke and pretend he is not. We are blessed! She has added so much joy to our lives. She is desperately loved by our other kids! I know she does not understand the power in the words she speaks. Just tonight (as she does every night) she said, "You're my favorite Mommy!" Oh that child melts my heart! For i know the plans that I have for you, says the Lord. Plans of peace, and not of evil, to give you a future and a hope. I figured this is better late than never. I wanted so badly to write this for yesterday morning but our weekend was busy. Thursday evening marked the return of our boys! They arrived with Grandma and Pap K. around 7:30pm. We spent the evening visiting with each other. They helped out a good bit at their house and returned with just as big of appetites as when they left! In honor of one of the greatest men I have even known......I dedicate this post to Jeremy. We have been married now for 18 1/2 years. We have practically grown up together. Here is a little background about this man I am honored to love! *He is one of two children, both boys. *He loves God above all. *He loves to play football. *He has the best sense of humor. *He really is a terrific singer (even though I joke about his singing). *He never knew he wanted a large family. *He is the one who began pursuing our adoptions....both times. *He is not afraid to share his true feelings and thoughts. Our first experience as being parents came when we were so young. We had been married 3 years and then came Kyle. Notice Jeremy's Bible resting on top of my pillow behind him? That tells you a lot about him. Then came Micah. Yes, we were all tired! God blessed us with another pregnancy when Micah was only 8 months old. Pregnancies were not easy for me. I depended on Jeremy for so much. My water broke way too early. Rebecca came into this world and it was a very difficult time for us as a new family with a critically ill neonate. God saw fit to heal her quickly! She came home and Micah struggled to accept his new sister. Daddy to the rescue. When Rebecca was just 9 months old we were thrilled to be expecting again. But we were scared. After Rebecca's ordeal it was a scary thought. But Ben came only 10 days early! Then we found out he had spina bifida. You can say we grew up fast having precious children with chronic health problems. We realized quickly how difficult life got for us. Jeremy was a rock! He trusted God for everything. He never hesitated. He made many decisions when I could not. Jeremy took care of all of us. Those early years were full of diaper changes (he did as many as me), potty training, and toddler chaos. He loved it though. And he loved me even though I often did not even have a chance to put on make-up or make a great meal for him. It didn't matter. He loved us! There is never a doubt of that. Then he mentioned to me about adopting from China, our longtime "goal". I was surprised. We already had four kids less than five years apart. But we prayed and overwhelmingly decided to move forward. The meeting with our sweet MoMo was very different than the other kids. She was withdrawn. She was sad. Honestly she was just a shell. But he didn't care. She was ours. Look at his love for this child! Adopting an older child is completely different than a small child. Again, Jeremy did not care. 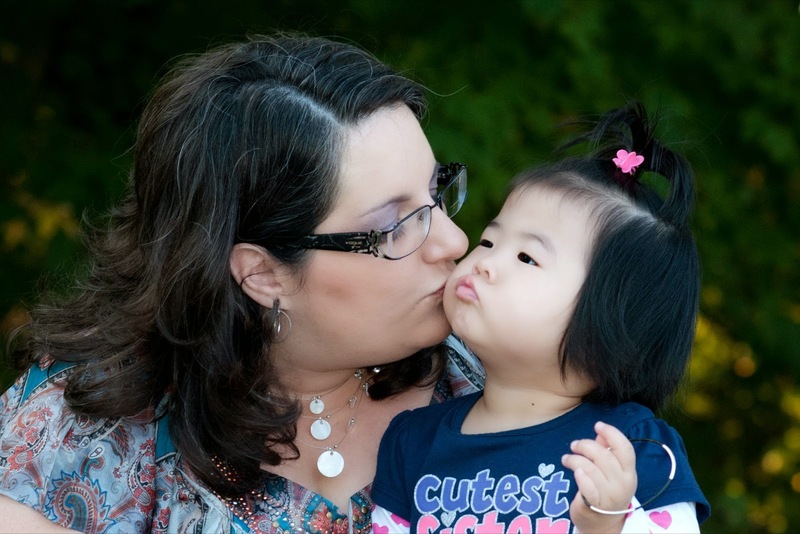 God called us to adopt Selah. Nothing would ever change the fact that she was ours. This meeting was so hard. She did not hug any of us. In fact, we could feel her pull away. She was scared. We signed papers in our hotel room. And more in the notary's office. We took several sight-seeing trips while in China to help her get to know us better. She still was not all that impressed. She began to realize that our love is real. She has begun to trust us. She has learned that Daddy is "safe"! She even can relax a little next to him. Notice the love in his eyes for her? Notice the "safety" she feels? This is all because of this man I am blessed to be married to. He has literally gone around the world to meet his children and bring them home. Jeremy is such an example of Christ to our kids. He is not perfect, but they think he is! Jeremy has so much respect for me. He still opens my car door (when not buckling a toddler in her car seat). He requires the kids speak respectfully to me and everyone. As a result my love and respect for him only gets stronger. He works long hard hours at the church. Honestly, working in ministry is hard. His whole weekend was filled with ministry events. We had an Upwards award ceremony/cookout on Friday, Praise FM tent sale on Saturday where he was live on the radio all day, then on Father's Day was a concert in the evening for church. The kids and I sit in church and rarely even get to see him from a distance. It is hard. It is lonely. But I know he serves the Lord. Our kids get to see him serve and learn what serving others means. So on this day after Father's Day I wanted to specially honor my husband. We are perfect for each other! I am blessed to witness this life unfolding each and every day. I am blessed to be married to you and call you mine! Thank you for loving us like you do! The discerning sets his face toward wisdom, but the eyes of a fool are on the ends of the earth. Morgantown has become quite the familiar place for us. Our first introduction to Ruby Memorial Hospital in Morgantown was almost 12 years ago when our sweet daughter decided to make quite a dramatic, albeit early, entrance to this world. Hence our first stay in a NICU. Sadly, that was not our only NICU visit. However our visits there now usually mean appointments at the Physicians Office Building and the Eye Institute. Our youngest son, "Boo", had an appointment to see his ENT. It was a regularly scheduled appointment. Ben has been going to this doctor since he was 9 months old. Poor guy had frequent ear infections so young. His first set of ventilation tubes was at 13 months. His second set was at 20 months. That surgery included bilateral ventilation tubes, a tonsillectomy and adenoidectomy. It was not a fun surgery as Ben really struggled to wake from surgery and unexpectedly was admitted. However, this was just a normal check-up. But I know my son. He was so congested. Yet never complained. The resident doctor introduced himself, examined Ben and just seconds later he told me that Ben's nose was pretty bad. I knew that. The conversation with the doctor was interesting. He told me that Ben has "significant problems". They are apprehensive to test for allergies. I guess his risk for anaphylaxis is pretty great. So we hope to hold off on that until it is absolutely necessary. He takes life in stride. He is one of my heroes. He is pretty amazing and defies many of his doctors......all 7 of them! 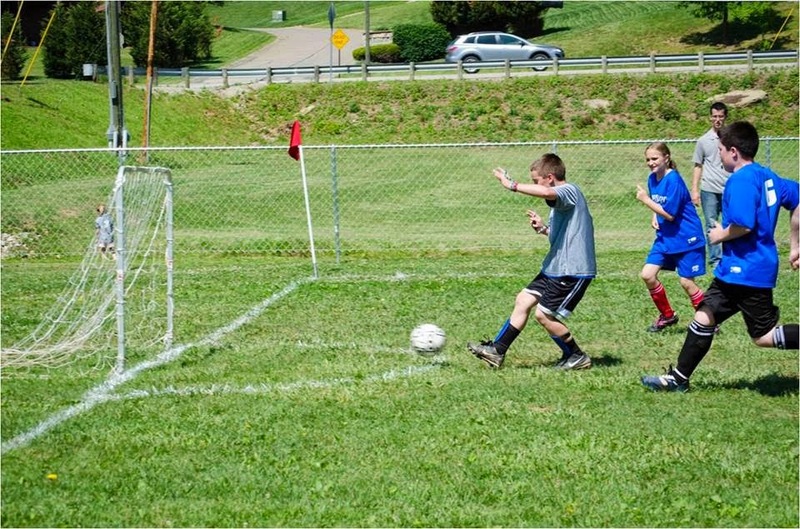 Check out his soccer goal during his last game! I get sidetracked............I took him to Morgantown to see his ENT and also Mariah to see her opthamologist. I took Kyle along for sanity! The two hour drive did Mariah in. Oh boy! She was not the easiest. Note to self........make Mariah's appointment first next time. She ate her bag of crackers, two lollipops, and some Smarties in the 15 minutes the doctor spent with us. Another note to self.....first appointment at 11am and second appointment at 1pm does not leave enough time for lunch in between and children will be hungry. And so will mom! We proceeded to the eye doctor. We waited in their waiting room from 11:30 until 1:30. Oh my! Even I was getting restless! I had just told Mariah, "Do not throw that ball!" Want to guess what she did? I did feel bad for her. There were several other children in the waiting room but only one would play with her. In fact, they looked at her like she was an alien. I guess her heritage was a little disconcerting to others. For now she seemed unaffected. Finally.......we got called back. Her appointment went well. Again, they increased her eyeglasses prescription. She will always need glasses. Lunch was served at 3pm. Then we drove home...2 hours. Friday was Mariah's last speech session with Miss Katie. I just realized I didn't get that photo I had intended! Good thing she lives around the corner! Jeremy's brother came to visit on Friday! The kids were looking forward to this visit. It was our first overnight guest with Selah here. She was a bit confused as to where he would sleep. Jeff treated us to dinner out. Let's just say these boys never change! Jeff went home on Sunday afternoon. He took our two oldest boys back with him to leave at Jeremy's parents' for the week. Grandma and Pap wanted to put the boys to "work" but I really think they just wanted to spoil a little! Micah: "I miss you too!" "Tell Kyle you love him." Mariah: "NO! I love mommy! You're my mommy!" What can I say? I really tried. She does love Kyle. But right now she is crazy possessive about me. I guess they have painted, cut back tall brush the whole length of the driveway/lane, planted a garden, and cut grass. I'm glad the boys wanted to go help. But I miss them. My house feels empty! We only have four kids! I know, it sounds ridiculous! But it is true. I miss my boys! They should be home Thursday night. We had a landscaping company bring some equipment and properly level an area for our new pool. Thankfully, Jeremy and I got the pool set up before the torrential rains. We finished with about 45 minutes to spare. Jeremy is the type of guy that once he starts something, it bothers him until it is done. So, we still do not have the water in the pool. We will do that beginning tomorrow. In the meantime, the kids loved the mountain of sand that was delivered! On our way home from church this evening the sky was absolutely gorgeous! Not bad for taking the photo out my window while Jeremy was driving! Then we came home and I went out on the deck. From the rising of the sun to its setting The name of the LORD is to be praised. From the rising of the sun unto the going down of the same the Lord's name is to be praised.